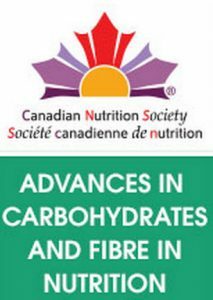 On January 11th, 2014 we attended the one-day CNS conference on Advances in Carbohydrates and Fibre in Nutrition at the Hyatt Regency in Toronto. The event drew over 250 attendees including nutrition professionals, dietitians and students with expert updates on functional fibres, claims in Canada and Glycemic Index of foods. Dr. Joanne Slavin presented the growing importance of fibre’s beneficial role in health related to cardiovascular disease, diabetes, cancer, body weight and satiety, digestive health including microbiota. Fibre is a nutrient of concern because few people consume the recommended daily amounts. As you may know, Health Canada has a New Fibre Policy as of 2012. The important news on fibre is that there are many fibres with known beneficial health effects, but they are not all equally effective, and may act differently when isolated from intact plant structure. The debate on the way to communicate information about Glycemic Index (GI) continues in Canada. Dr. William Yan discussed Health Canada’s published position on the use of the GI claims on food labels as published in the 2013 issue of the American Journal of Clinical Nutrition. The important concept reinforced by the world renowned speakers Drs. David Jenkins and Thomas Wolever was that GI is an easily misunderstood concept. GI is a measure of carbohydrate quality in a food, and is not an index for glycemic/insulin response in a person. Furthermore glycemic/insulin response in people is determined by the glycemic index of the food and the amount of food eaten. Thus a lower GI food could have a higher glycemic response depending on how much of the food is consumed. It’s certainly a complex topic! Don’t hesitate to contact us if you have any questions about carbohydrate nutrition including fibre and glycemic index. This entry was posted in Event Highlights, Nutrition & Health Trends and tagged carbohydrates, diabetes, diet, events, fibre, Glycemic Index, Health Canada, labelling.